RIYADH – Saudi Arabia signed deals worth $ 50 billion on Tuesday, showing it can still attract investment at a conference boycotted by Western politicians and global business chiefs after the killing of journalist Jamal Khashoggi. The Saudi cabinet, after a meeting headed by King Salman on the same day, promised to hold to account those who where responsible for Khashoggi's death and those who "failed in their duties" in the case that has provoked an international furore and strained ties between Riyadh and the West. Crown Prince Mohammed bin Salman arrived at the investment conference late in the day after attending a meeting at which King Salman received members of Khashoggi's family, including his son Salah. Many in the audience of over 2,000 clapped or cheered as the prince, the kingdom's de facto ruler and architect of its reform drive, entered the main hall, smiling as he sat down. Earlier, Energy Minister Khalid al-Falih assured the investment conference that the world's top crude exporter was passing through a "crisis of a sort" but would power ahead with economic reforms. Hundreds of bankers and company executives joined officials at a palatial Riyadh hotel for the Future Investment Initiative. But while last year's inaugural conference drew the global business elite, this year's event has been marred by the withdrawal of more than two dozen high-level speakers. Khashoggi, a critic of Saudi Arabia's crown prince, vanished after he entered its consulate in Istanbul on Oct 2. After first denying any involvement in his disappearance, Riyadh said on Saturday Khashoggi died during a fight in the consulate. Later, a Saudi official attributed the death to a chokehold. Turkish President Tayyip Erdogan on Tuesday dismissed attempts by Riyadh to blame Khashoggi's "savage" killing on rogue operatives, saying the person who ordered the death must "be brought to account". Many foreign investors see a risk that the Khashoggi case, which drew global condemnation, could damage Riyadh's ties with Western governments. Saudi Arabia's stock index was down 1.3 percent in late trading on persistent investor concern. Uber CEO Dara Khosrowshahi, who also withdrew from the event, said the firm was awaiting the full facts on Khashoggi's case before deciding whether that would affect Saudi involvement in the ride-hailing service. Saudi Arabia’s sovereign wealth fund has invested in Uber and its managing director sits on the app's board. Russia sent a large delegation led by Direct Investment Fund head Kirill Dmitriev. He said Khashoggi's killing needed to be investigated and the culprits punished, but that the Saudi drive for economic and social reform could not be ignored. "Saudi Arabia’s reforms are important and they are worth supporting," he told Reuters. Saudi Arabia signed 25 deals worth $ 50 billion on Tuesday in the oil, gas, industries and infrastructure sectors with firms such as Trafigura, Total, Hyundai, Norinco, Schlumberger, Halliburton and Baker Hughes. Saudi Aramco said it signed 15 memoranda of understanding worth $ 34 billion. 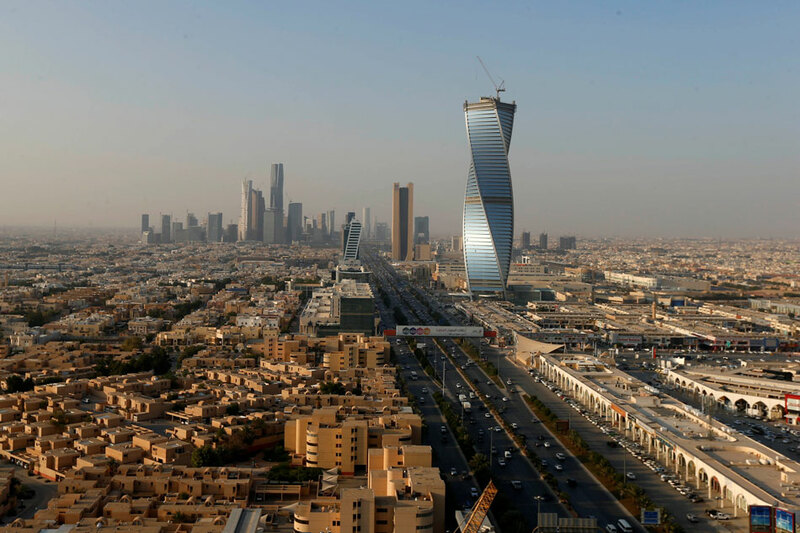 The managing director of the kingdom's sovereign wealth fund, the main backer of the event, said the country was becoming more transparent and that the Saudi Public Investment Fund continued to develop new industries under economic reforms launched by the crown prince. Yasir al-Rumayyan said the fund has invested in 50 or 60 firms via SoftBank Group's Vision Fund and would bring most of those businesses to the kingdom. PIF has committed to invest $ 45 billion in Vision Fund. Many Western banks and other companies, fearful of losing business such as fees from arranging deals for Saudi Arabia's $ 250 billion wealth fund, sent lower-level executives even as their top people stayed away. Foreigners sold a net 4.01 billion riyals ($ 1.07 billion) of Saudi equities last week, by far the biggest pull-out of overseas money since the stock market opened to direct foreign investment in mid-2015. About 320 foreign institutions have registered as qualified foreign investors in the Saudi stock market and 200 more are expected to register, the exchange's chairwoman told the event. The event is being held at the Ritz-Carlton in Riyadh, where scores of princes, businessmen and officials were detained in a crackdown on corruption soon after last year's conference ended, unnerving investors and raising concern about transparency.